As part of the Avalon Marshes Landscape Partnership,a series of experimental archaeological reconstructions were made with local volunteers, all based on local archaeological finds. 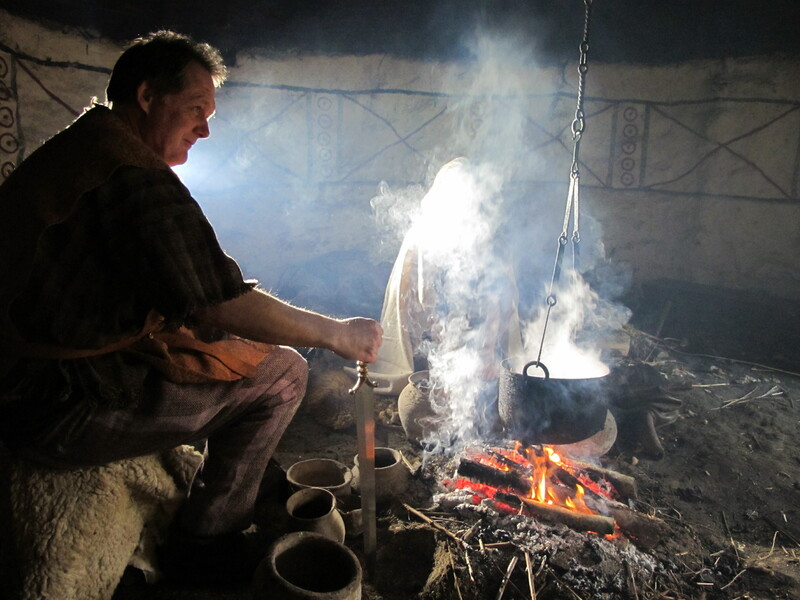 These included Iron Age canoes, Neolithic and Bronze Age wooden trackways, a Saxon longhall, and the dining-room of a Roman villa. Two of the replica trackways can be walked on in the Shapwick Heath National Nature Reserve. The buildings and canoes are at the Avalon Marshes Centre, where they will form the main features of the Avalon Archaeology Park, which will open for school groups and the public in 2019. Eventually an Iron Age roundhouse will be added to replace the ones made earlier on the site, which have now reached the end of their lives and been dismantled. If you would like to learn ancient skills and get involved with these exciting and unique projects, please get in contact with us. Join us as one of our Hands on Heritage Volunteers!